Both the Hyundai Sonata and Hyundai Elantra have excellent and unique exteriors. The Hyundai Elantra has sleek style in its exterior. Its larger wheels and accent LED lights that are part of the Elantra Limited trim add to its attractive exterior style. Aside from that, chrome trim is available on this model of the Elantra. Its exterior is also smaller than most other competitors like the Honda Civic or Toyota Corolla. This smaller exterior gives it a sleek look and makes the Elantra very maneuverable. Its SEL trim also gives you 16-inch wheels. The Sonata, on the other hand, has an exterior that was redesigned. The Hyundai Sonata you can find at a dealership in Reno has a cascading grille and unique exterior lighting. Drivers in Carson City, NV will see that the rear of the car looks better with the license plate holder moved onto the bumper. The Sonata now also has sculpted air intakes in the front and this adds to its fresh exterior redesign. Either way, you are getting a car with an attractive and aerodynamic exterior in Reno, NV. The SEL model of the Elantra comes with many innovative safety features, including rear cross traffic alert. Other standard features on this model are blind spot monitoring and a system that helps you change lanes. It also has forward collision warning and automatic high beams as available safety features. The Elantra has rear parking sensors to help you park easily and safely. One of the Elantra’s innovative safety features includes lane keeping assist. The Sonata is a very safe car, especially in the realm of compact cars. The Sonata comes with many available safety features. One of these is adaptive cruise control. This is just one safety feature you can choose with the Hyundai Sonata. The Sonata can have automatic emergency braking, too. This is part of the Sonata’s overall safety. The Hyundai Sonata even got a five-star safety rating from the NHTSA. Both Hyundai vehicles have very effective safety measures. The Hyundai Elantra Eco has a standard 2-liter engine with an automatic transmission that gives you 128 horsepower. It also gives you a very smooth ride that is easy to enjoy. You will love the stable steering from the Hyundai Elantra. The tires on the Elantra Limited provide a good amount of grip and make the vehicle handle smoothly. The Elantra also brakes very well, stopping completely from going 70 miles per hour in only 168 feet. This adds to the smooth ride. The Hyundai Sonata is a fun car to drive, as well. Its 2 liter, 8-speed automatic transmission engine accelerates from 0 to 60 in the short time of 6.8 seconds. This acceleration is better than that of the Elantra. The Sonata can also accelerate from 50-70 in only 4.5 seconds. The Hyundai Elantra Limited has an EPA estimated fuel economy of 28 mpg in the city and 37 mpg on the highway. The Sonata comes in at an EPA estimated fuel economy of 25 mpg in the city and 36 mpg on the highway. Which vehicle performs better for you depends on if you value acceleration or a smooth ride when the vehicle is sold to you. The Hyundai Sonata and the Hyundai Elantra both have well-made interiors. The Hyundai Elantra has very comfortable front and rear seats so all the passengers are comfortable. You can also adjust both the front and rear seats of the Elantra. The Elantra’s cabin also does a great job of limiting the amount of noise in the cabin, so you and your passengers have a nice, quiet ride. The Elantra also has optional heated seats, which makes it a very comfortable ride which you can test at Reno, NV car dealerships. The 2018 Hyundai Sonata does have 45.5 inches of front seat legroom, so it is more spacious than the Elantra. It also has more front seat headroom at 40.4 inches compared to only 38.8 inches of front seat headroom in the Elantra. The Sonata also has better seating height at 21.3 inches, which is more than the Elantra’s seating height of 20.4 inches. Both cars are fun to ride in, though. The Elantra has easy to use technology. You can enjoy its standard auxiliary input feature when you’re going through your car shopping experience. The available 7-inch touchscreen is very easy to navigate and the menus are clear. Its infotainment interface is also easy to use and you will find it easy to use all the technology in the Elantra. Drivers in Reno, Sparks, and Carson City, NV can use our website to find out that the Sonata has more features in addition to receiving alerts when price changes happen. The Sonata has real-time weather as a standard feature in addition to voice control and Bluetooth® Phone as more standard features. The Sonata also has Bluetooth® audio as a standard infotainment feature. The Sonata also has 3 12-volt outlets, 1 more than the Elantra. You can explore this technology by coming into Lithia Hyundai of Reno or going on our website, where you can access your saved cars on any device and find out when new offers become available. 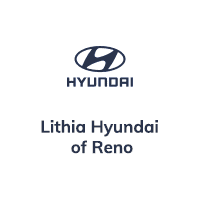 Test drive the Hyundai Sonata and the Hyundai Elantra at Lithia Hyundai of Reno today!